Your app name can make a huge difference in the number of downloads you get, and as a consequence, the amount of money you can make from an app. In my opinion, there are only two strategies that can work when naming your app. Apple usually only features apps that have short titles (but not always, I’ve seen featured apps with titles stuffed to the max!). In addition, at WWDC, Apple marketers and designers always suggest to me that a short, recognizable title is better for brand recognition. I don’t entirely agree, as a hyphenated title easily differentiates the app name from the sub-title and feature description that comes after the hyphen. For example, my top app is called “You Doodle – draw on photos, overlay/add text – full art studio editor”. I’ve never had any confusion about the app name, and people always refer to the app as simply “You Doodle”. Picking this strategy and using a short name only makes sense if your app has the potential to be used by millions of users. If you are making a simple little game or other utility app, then I do not suggest this strategy. A great example of an app that has done well with this strategy is the paid app “Afterlight”. It has been the top paid Photo & Video app for a long time now, and has great brand recognition and social presence. Stuffing their title would likely not help much as most of their downloads are likely word of mouth or social media link clicks. With so many downloads, they could stuff their title and own more search terms, but they probably enjoy always being featured by Apple and don’t want to risk getting un-featured. This strategy can also make sense if you have a large marketing budget or each user is very valuable to you (i.e. Candy Crush Saga) and can afford to invest a lot of money in pay per install campaigns. Getting featured by Apple is very rare, even for fully featured, high quality apps, so for me personally, I go with the next strategy every time. 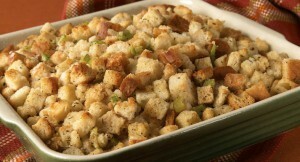 Mmmmmm… stuffing. It’s not just for dinner, it’s also great for indie app developers. Strategy #1 mostly includes this strategy with the exception of stuffing the title, as this can prevent you from getting featured by Apple. With this strategy, you should put as many keywords and phrases that are highly relevant to your app’s functionality in your title. Apple will metadata reject your app if you simply do comma separated lists of keywords, so it’s better to use simple phrases that describe the primary function of your app. It’s OK to even use social networks such as Facebook, Twitter and Instagram, if you use them like this: “My App – Share photos for Twitter, Instagram, …”. Apple will metadata reject you if you don’t use this exact wording, i.e. “for Twitter, …”, as has happened to me many a time, so now I always use that specific wording as requested by Apple. I would suggest picking one or two top phrases that you want to own for your app and try to rank in the top few results for. For example, You Doodle ranks #1 for “draw on photos” in the App Store and #2 on Google. Go to Google’s home page, start typing phrases in Google that are relevant to your app and then see what the top auto-complete’s are for that phrase. Use those in your title. Because your title is also indexed by search engines, your keyword stuffing will not only help with App Store search, but with Google searches as well. Even though your description is not indexed by Apple, it is indexed by search engines, so it’s important to describe the top functions of your app here. You can also call out why you are better than your competitors and why your app is the best in it’s category. Until Apple starts indexing the description, or provides a way to enter a list of searchable features, keyword stuffing is highly recommended and encouraged, especially for indie developers with small budgets.